Assistance with appeals of props, costumes, actors etc. Organisation of the Annual One Act Festival for our District. Edinburgh District has The Liz Willis Fund which was established to help with training issues . If your club would like a workshop to improve your production, or any other training issues, do get in touch with the District Committee. 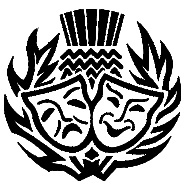 The National Drama Advisor is also there to facilitate the development of club members - use her services too . Please do not hesitate to contact us if you have need of our services. For library enquiries click on the contact button on right side. For all other requests please send e-mail by clicking on SCDA Edinburgh button on right hand side.